Alright, day three of discussing Wardian Cases! If you've been following along and now you think "I sure know someone that would love one of those as a kit" you are in luck. 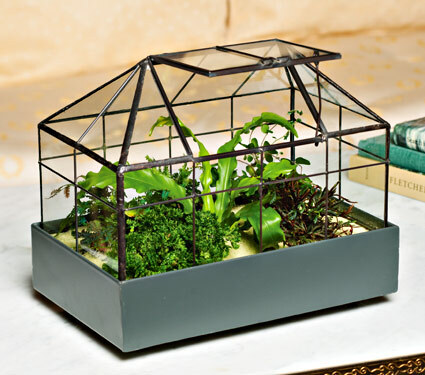 White Flower Farm is accepting orders for the above "Victorian Conservatory" terrarium kit. For $115 you receive the case, potting soil, sand, charcoal, pebbles and the plants listed below. All these plants are terrarium all-stars and should make for an easy starter set for any "black thumb."